What are Acceptable Ads without third-party tracking? What is the Acceptable Ads Committee? Why is the Acceptable Ads feature enabled by default? But I hate all ads! Do Adblock Plus users really want Acceptable Ads? Are all annoying ads blocked? Can I view the Acceptable Ads whitelist? How do I report an ad that doesn’t meet the criteria? How can I get ads on my website whitelisted? This page is under review as management of the Acceptable Ads initiative has been transferred to the independent Acceptable Ads Committee. Acceptable Ads are ads that aren’t intrusive or annoying. They are respectful, don’t interfere with content, and are clearly labeled with the word “advertisement” or its equivalent. In order for an ad to be an “Acceptable Ad”, it must adhere to standards that have been set forth by the Acceptable Ads Committee. Ads that abide by Acceptable Ads standards are placed on a whitelist. The ads on the whitelist are then shown to ad-blocking users who allow Acceptable Ads. Most websites use advertising to make money, meaning that you can see these websites for free. However, many websites use too many annoying or intrusive ads to get your attention. Adblock Plus lets you choose to block ads, but we don’t believe websites should be punished. Acceptable Ads without third-party tracking are ads that comply with the Acceptable Ads criteria and that do not allow third-party entities to track any of your browsing behavior. These are ads that comply with Do Not Track, and / or ads which are served by the domain which is wholly owned by the same company. As previously announced, in 2017 eyeo / Adblock Plus transferred governance of the Acceptable Ads initiative to an independent group, the Acceptable Ads Committee. The Acceptable Ads Committee consists of interested parties from for-profit companies, industry experts and Internet users like you. Ads should always be recognizable as ads, and distinguishable from all other content (e.g. are not hiding the label, are not misleading users into thinking an ad is part of the primary content). Ads should be clearly marked with the word "advertisement" or its equivalent. When placed above the primary content, the maximum height of an ad should be 200px. When placed on the side of the primary content, the maximum width of an ad should be 350px. When placed below the primary content, the maximum height of an ad should be 400px. All ads that are placed above the fold (the portion of the web page visible in the browser window when the page first loads under the common screen size), must not occupy in total more than 15 percent of the visible portion of the web page. If placed below the fold, ads must not occupy in total more than 25 percent of the visible portion of the webpage. Text ads designed with excessive use of colors and/or other elements to grab attention are not permitted. Static image ads may qualify as acceptable, according to an evaluation of their unobtrusiveness based on their integration on the webpage. Ads are permitted in between entries and feeds. In-feed ads are permitted to take up more space, as long as they are not substantially larger than other elements in the list or feed. Search ads are permitted to be larger and take up additional screen space. Small ads (6x1 banner or smaller) are allowed to be placed as a sticky ad on the bottom of the screen. Other formats are not allowed to stick. 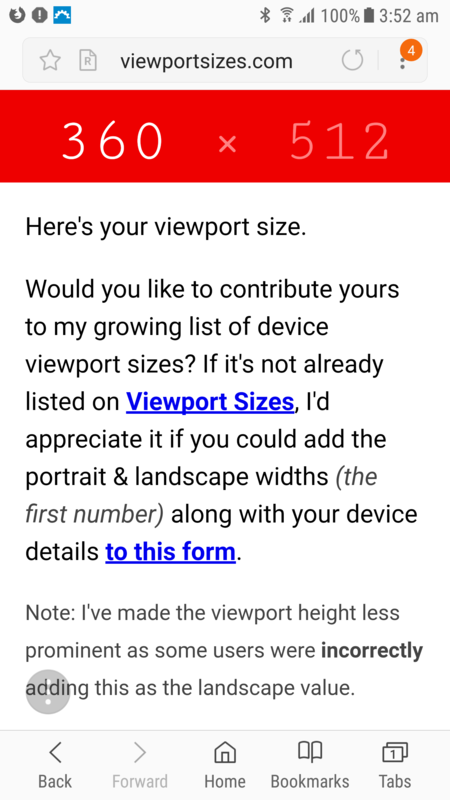 Ads implemented as a ‘sticky ad’ have a maximum height restriction of 75px (or 15%). Are your ads displayed on alternative screens, or are you convinced that you have an innovative Acceptable Ads format which doesn't fit the ads outlined above? Let us know! We believe that Acceptable Ads are the sustainable middle ground between a user’s choice to use an ad blocker and the continued need to support free online content with advertisements. If the majority of Adblock Plus users have the Acceptable Ads feature enabled, advertisers will have a bigger incentive to produce better, less intrusive ad formats. From your browser’s toolbar, click the Adblock Plus icon and select the gear icon in the upper right corner. From the General tab, scroll to the Acceptable Ads section. From the Safari toolbar, click the Adblock Plus icon and select Open Adblock Plus. Click the Adblock Plus icon and select Filter preferences. Uncheck Allow some nonintrusive advertising. Click the Adblock Plus icon and select Settings. Open Adblock Browser for iOS. Tap the menu icon and select Settings. Tap Ad blocking > Exceptions. Open Adblock Plus for iOS. Tap the Settings icon at the bottom of the page. From the Settings page, tap Acceptable Ads. Toggle off Allow some nonintrusive ads. Open Adblock Browser for Android. Tap Ad blocking > Acceptable Ads. Open Adblock Plus for Samsung Internet. Yes! Eighty three percent (83%) of Adblock Plus users don’t mind seeing Acceptable Ads because their browsing experience isn’t ruined by loud, annoying and irrelevant ads. No. It isn't technically possible to automatically recognize ads that don’t meet the Acceptable Ads criteria. We have agreements with some websites and advertisers which stipulate that only advertisements matching the Acceptable Ads criteria will be displayed when Adblock Plus users visit these particular sites. Absolutely. You can view the list by clicking here. If your website has ads that comply with the Acceptable Ads standards, simply fill out this form. Someone from eyeo, the company behind Adblock Plus, will contact you to determine the exact ads, and check whether they comply with our criteria. After you have made any necessary changes, both sides sign an agreement. We submit the whitelisting proposal in the forum and the ads are whitelisted at the same time. The topic will stay open in order for the community to declare concerns if or when the candidate does not meet the requirements. Click here for a detailed overview of our financials.